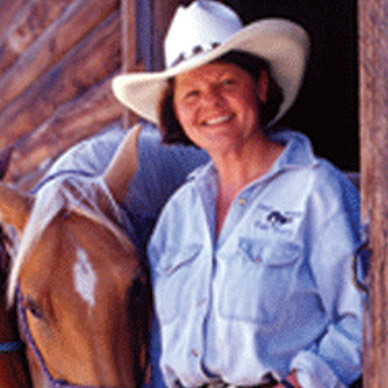 Ron and Kathleen Goddard have been ranching for a lifetime and in the guest business for almost two decades. They have raised their three children on Montana ranches and the last one still at home; Jacob (16) takes part in operations on the Cinch Buckle Ranch when he isn’t off competing in Ranch Ropings or Rodeos. It is not uncommon for him to spend mornings moving cattle and afternoons starting colts or working on a saddle or other horse gear he is building. 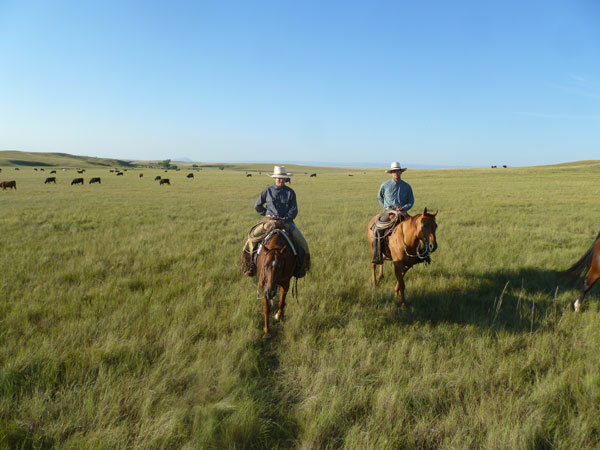 Guests can take an active part in the real work of life on the Cinch Buckle Ranch where cattle graze on 39,000 acres (60 square miles) of rolling grassland. The cattle count may include the 1000 or so cows that are calved and run year round plus the varying number of custom-grazed yearlings they tend through the growing season. 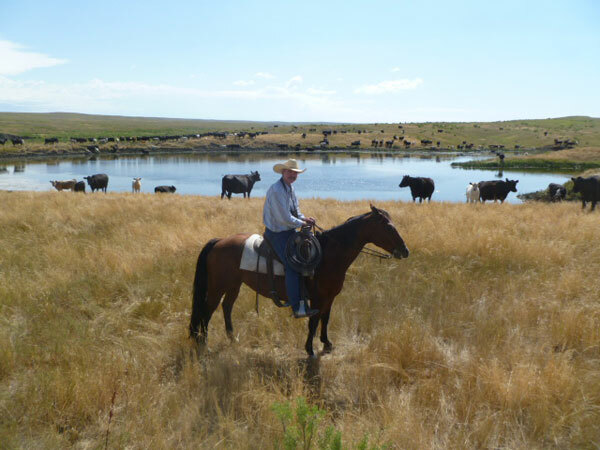 They invite guests to join their family and ranch crew as they blend generations of experience in the time-honored traditions of managing cattle with the latest innovations in land management. Working in the friendly relaxed atmosphere that is a ranch trademark of the hosts’ own outgoing personalities and genuine friendliness—guests enjoy learning about grasslands restoration while riding the vast prairie of eastern Montana.This is the cowboy way of life balanced with a holistic emphasis on environmental stewardship. 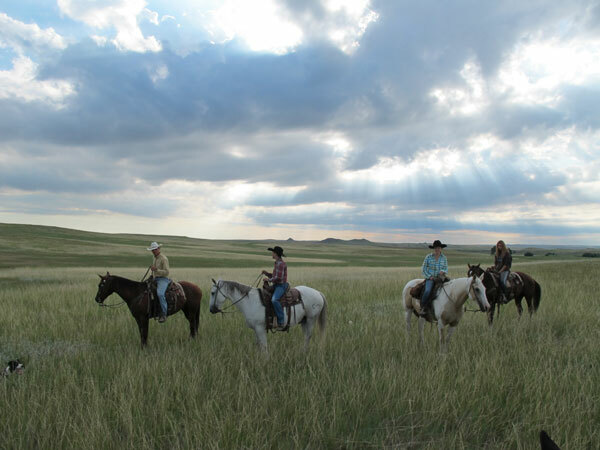 Ranch Riding – The daily horseback riding is best suited for experienced riders who are not daunted by the fact that it may be a 5-mile trot to reach the cattle. Branding - During several days in spring guests have the opportunity to work as part of the branding team and refine their horsemanship skills. 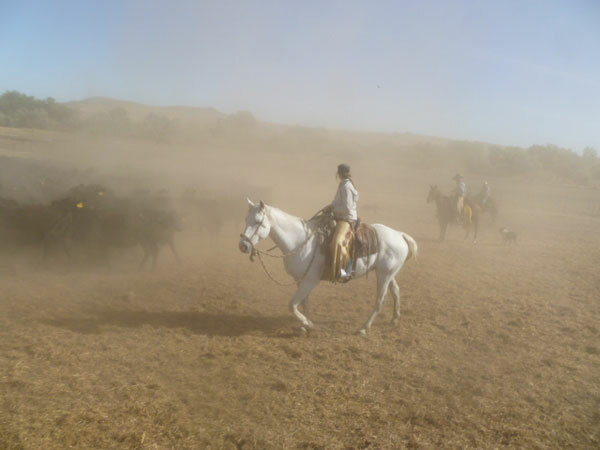 Cowboys head and heel the calves while the herd is held on the open range. Trailing Cattle - During June and early July when the grass is actively growing, some cattle are gathered nearly every day, and trailed to new range as part of our cutting-edge holistic grasslands management. Optional - There are also other livestock-related chores that guests can help with including maintenance of fences, water points, and other infrastructure. Guest Room -There is a guest room with bathroom in the ranch house basement. Wall Tent - A luxuriously appointed, wooden floored, canvas wall tent furnished with rugs, comfortable beds, table and chairs and gas lights is another option. An outhouse is available as well as access to a bathroom in the main house. Meals are shared in the main house at the Goddard family table featuring their own grass-finished beef and home-grown vegetables from the ranch garden. 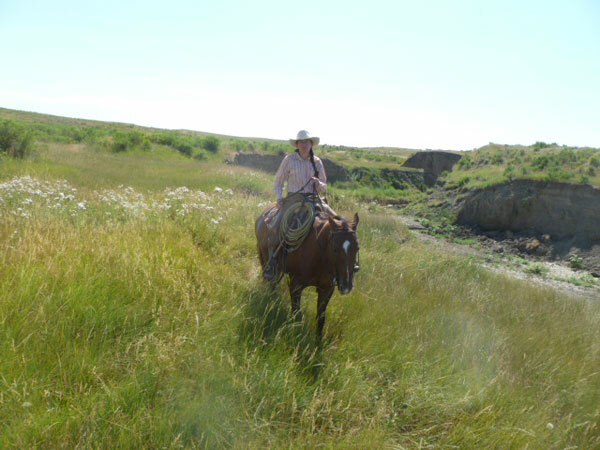 Access - The remoteness and the seasonally sometimes difficult access to/from this ranch is a consideration. 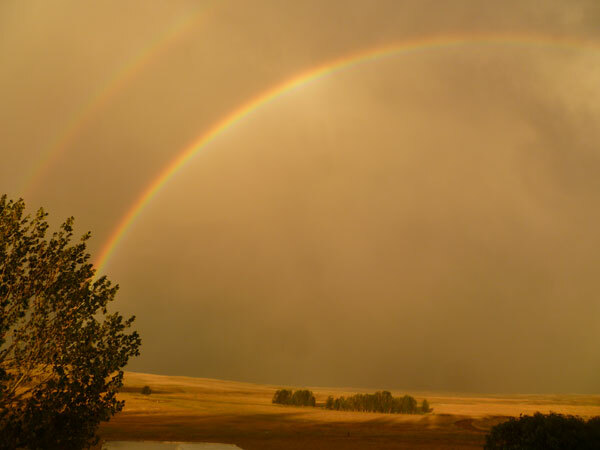 Definitely off the beaten path—the ranch is half way between Billings MT and Rapid City SD (four hours either way.) Nearest airport is Miles City MT. “Going to town” from the ranch means driving 30 miles of gravel road to Broadus (population under 500).